Beautiful bride Ella came to us looking for the perfect wedding dress to fit into her plans for a relaxed, fun wedding. 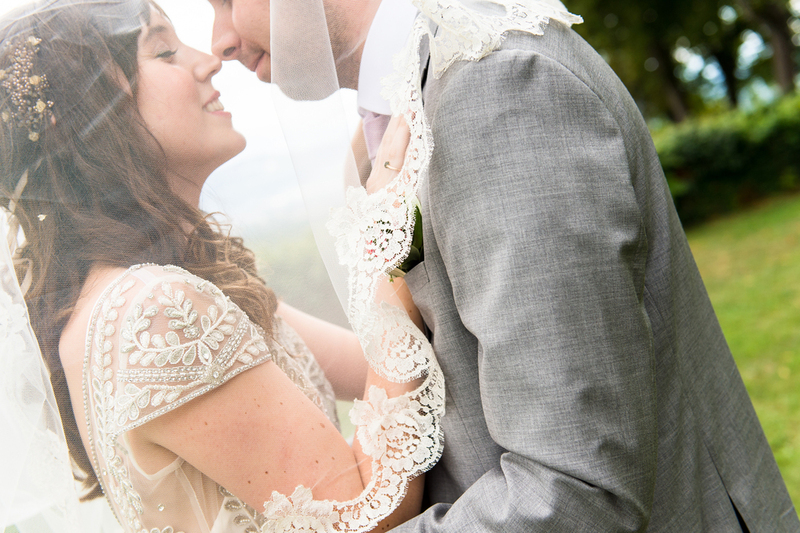 Our Marianne dress turned out to be everything she was looking for! "I didn’t choose the dress I thought I would! I thought I would go for a lace dress and ended up with a beaded dress. It just felt really special and different, I hadn’t seen anything like it before." 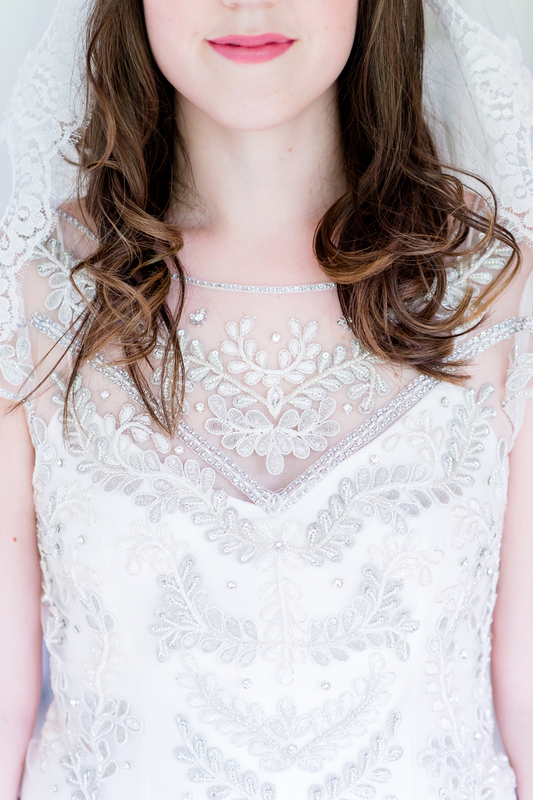 Ella fell in love with Marianne's embellished, beaded cap sleeved bodice with the soft tulle skirt worn on top of of a V neck ivory satin slip. "I already love embroidery and beaded details on my everyday clothes so I was drawn to the dress. I also had seen a picture of it on Pinterest on a hanger and had pinned it ages ago! So I knew I wanted to try it on just to see, but I never thought something like that would look good on me. The other dresses were beautiful but felt just like that - a dress. This one made me feel like a bride! " 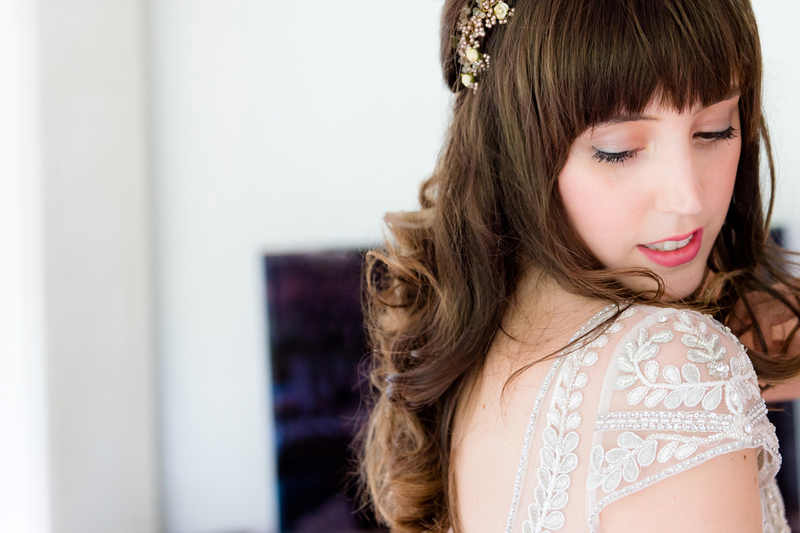 We're thrilled Ella found her dream dress with us and we think she looks utterly gorgeous. Huge congratulations to Ella and her new husband from everyone at Halfpenny London!